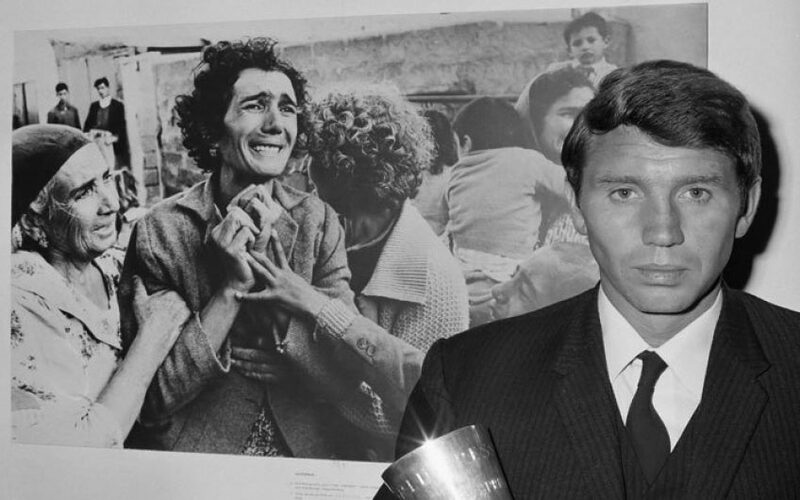 Don McCullin probably knows more about war than anyone else in Britain. He’s been covering global conflict since the early 1960s and his images – of shell-shocked faces, grieving widows, traumatised children – have taught us more about the human toll of conflict than any number of words. He always goes to war firmly on the side of the victims and it is that compassion and empathy that has made him the most celebrated war photographer of our time. I interviewed Don once and asked him why he always took the side of the victim. ‘Because that’s where I come from,’ he replied, referring to his childhood in Finsbury Park, north London, which he describes as tough and frequently violent. His beloved father died of chronic asthma when Don was fourteen. By fifteen he was working on the railways to support his family. It taught him toughness and an incredibly ability to withstand stress. It also made him the enemy of bullies, both in and out of uniform. I’ve always wondered how he copes with the extremes of human suffering and misery that he actively seeks out. He is often, he says, overwhelmed by guilt, as he can leave, while his subjects remain. He knows that, all too often, he takes away more than he brings to the dying, starving and desperate. At eighty he remains self-deprecating and modest, still with an innocence about the impact he has had on the lives of so many. Without McCullin, would any of us have had an inkling of the real face of war? If a correspondent’s job is to bear witness to the worst that man can do to man, then McCullin’s work ranks supreme.